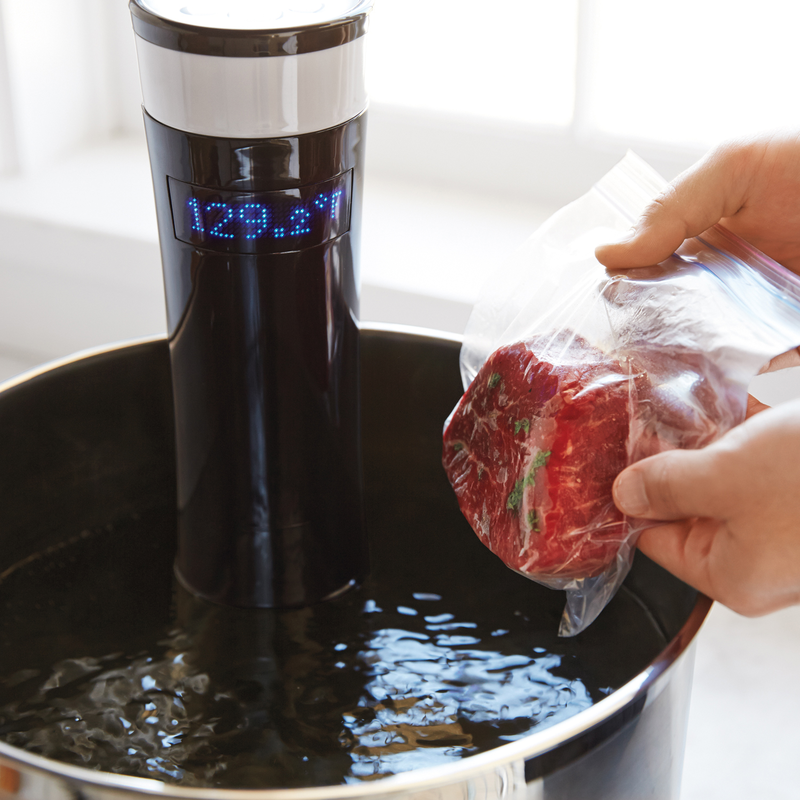 Why choose sous vide cooking? Well, the benefits are obvious. If you compare two pieces of steak which are cooked by two different cooking methods, you will find the answer. See what is sous vide cooking. On the left is the steak cooked using Yumyth immersion circulator sous vide cooker and seared quickly before serving to the guests. On the right is the other steak cooked on a oven. By comparison, the sous vide cooked steak is featured by edge-to-edge medium rare, more evenly cooked and retaining more . In contrast, the steak cooked traditionally looks less juicy and tastes touch. 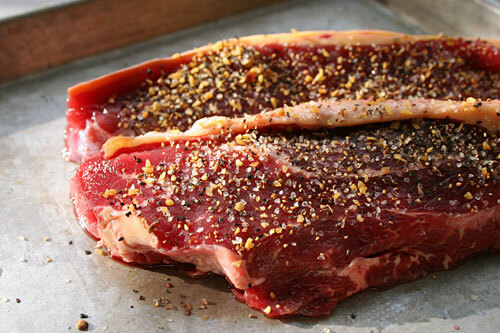 Step two: Generously sprinkle the seasonings over the strip steak and put the meat in a heavy-duty vacuum bag. Then, use a food vacuum sealer machine to seal the bag. Step three: Place the vacuum bag in the water bath and set the timer for 2 hours or so. Step four: When the time is up, remove the vacuum bag from the water environment and take the meat out of the plastic bag. Step five: put the strip steak in a pan and sear it with oil for 30 seconds for each side until both sides are a little bit brown. After that, put the meat on a cutting board and wait for a few minutes. Now, it is ready to be served.